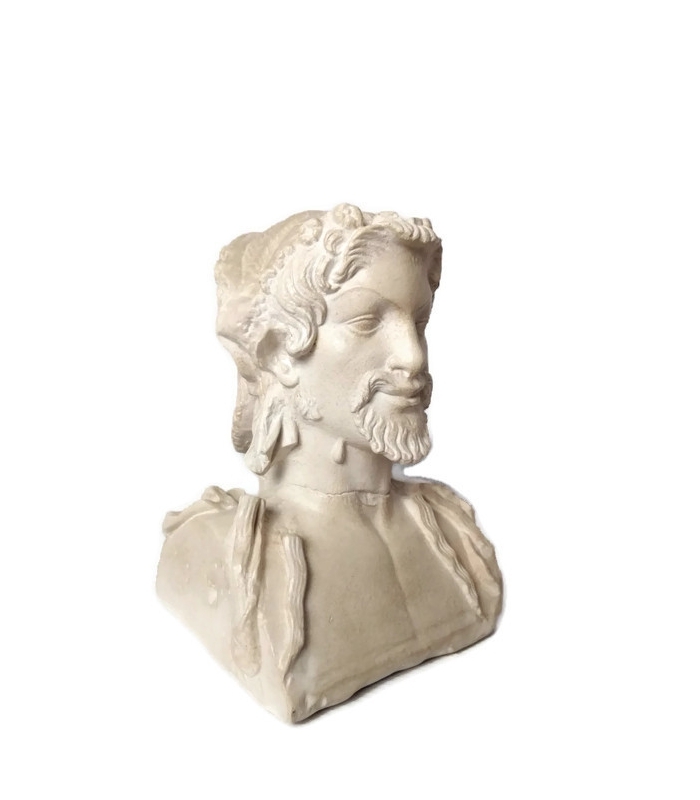 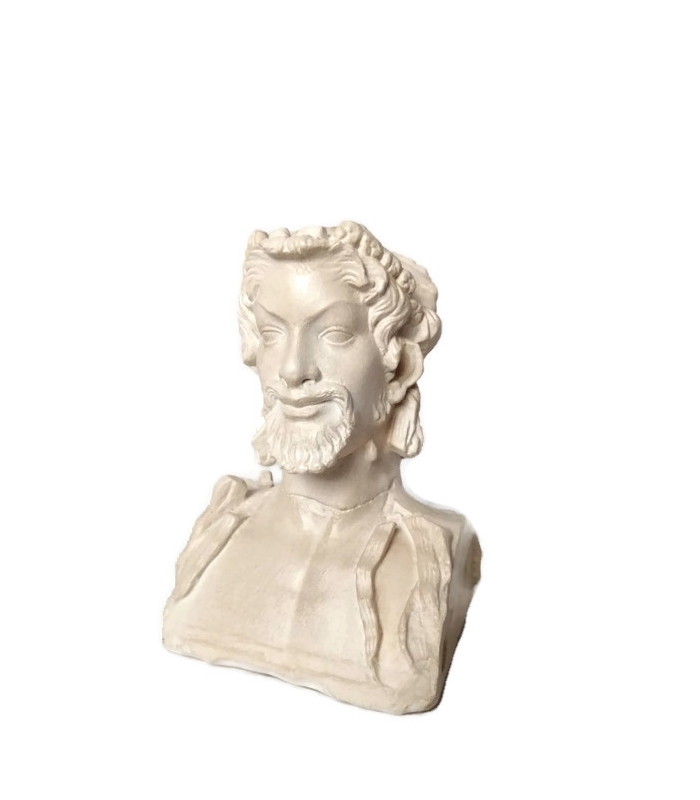 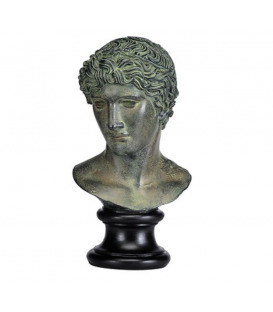 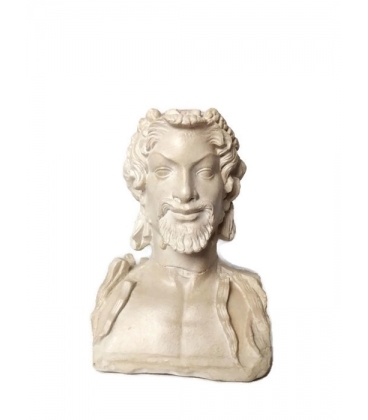 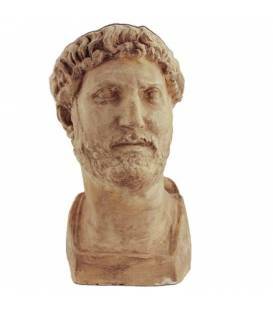 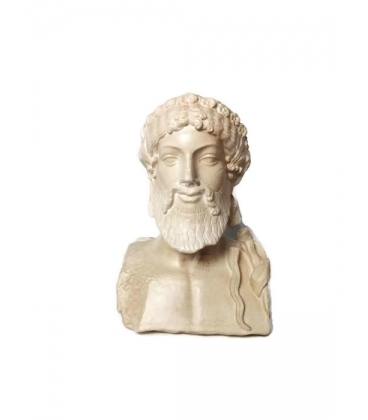 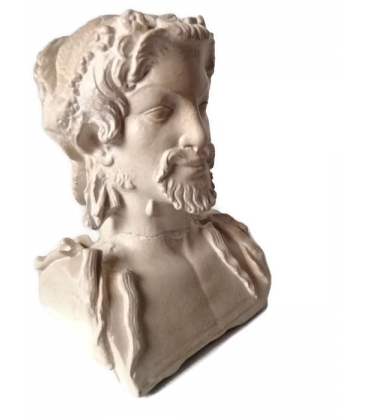 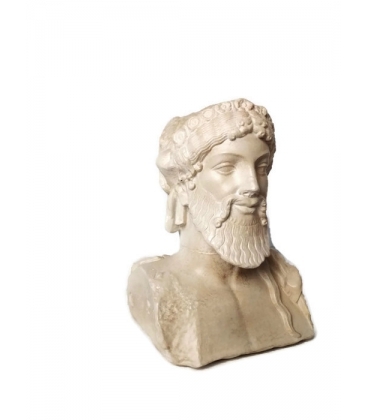 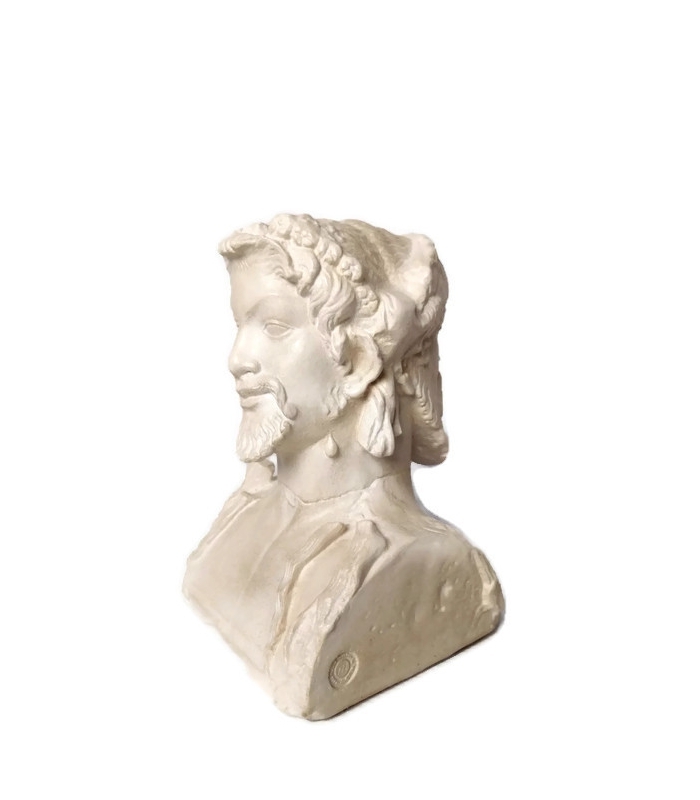 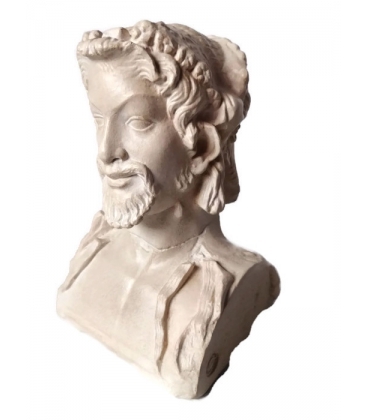 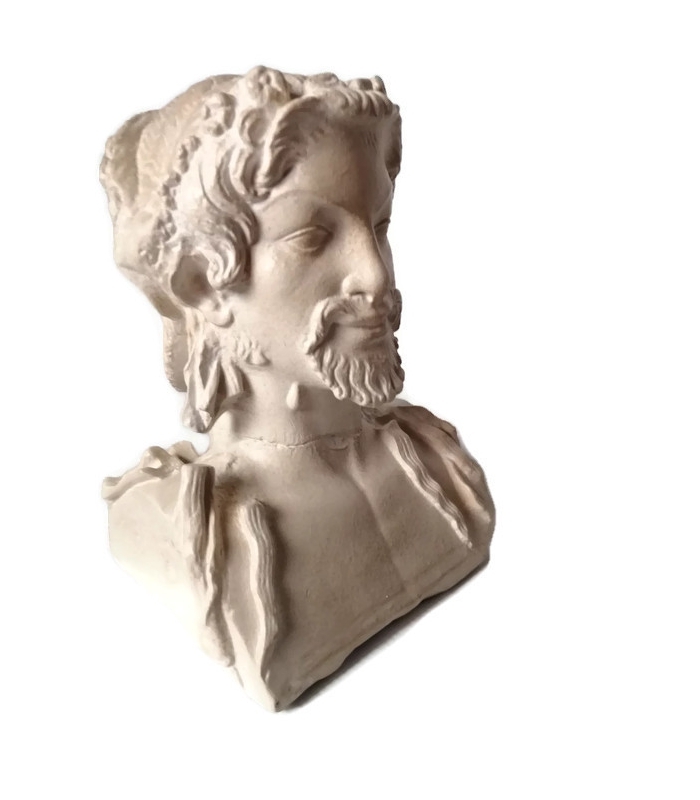 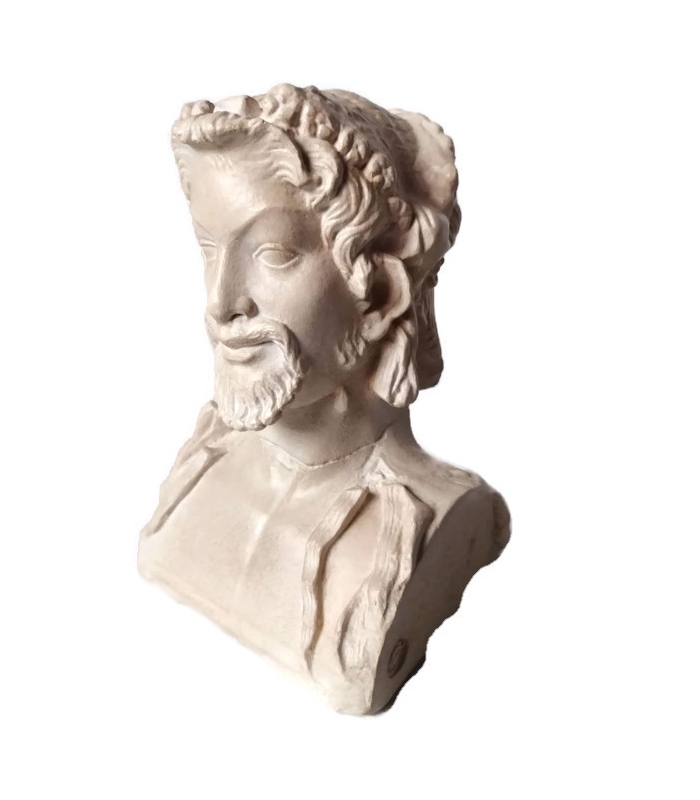 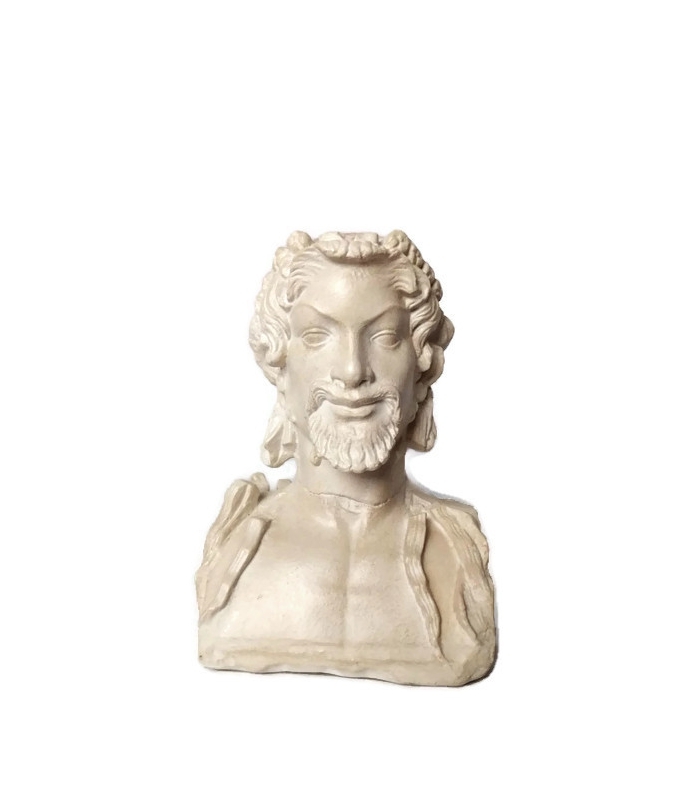 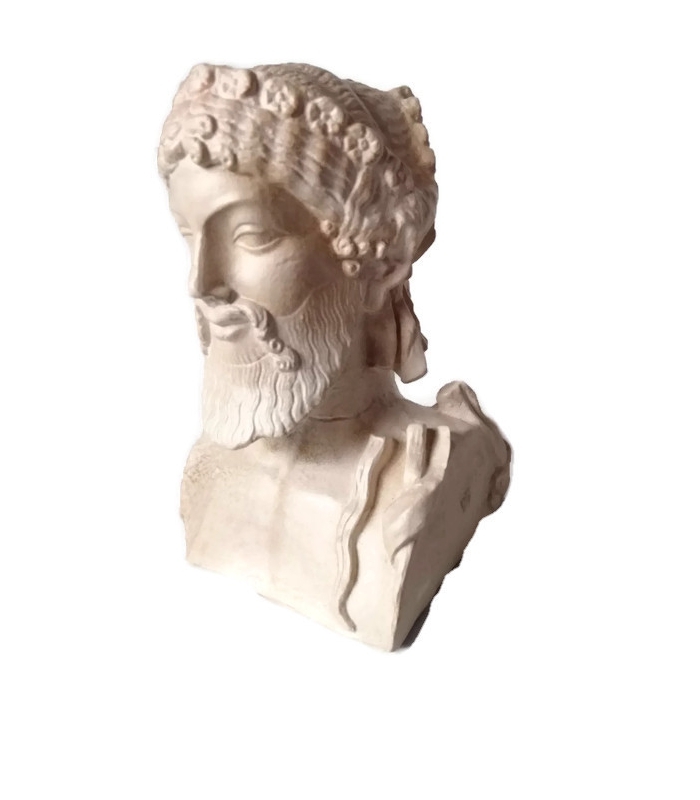 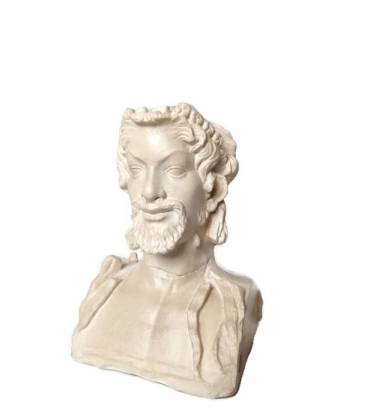 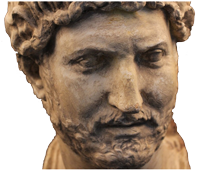 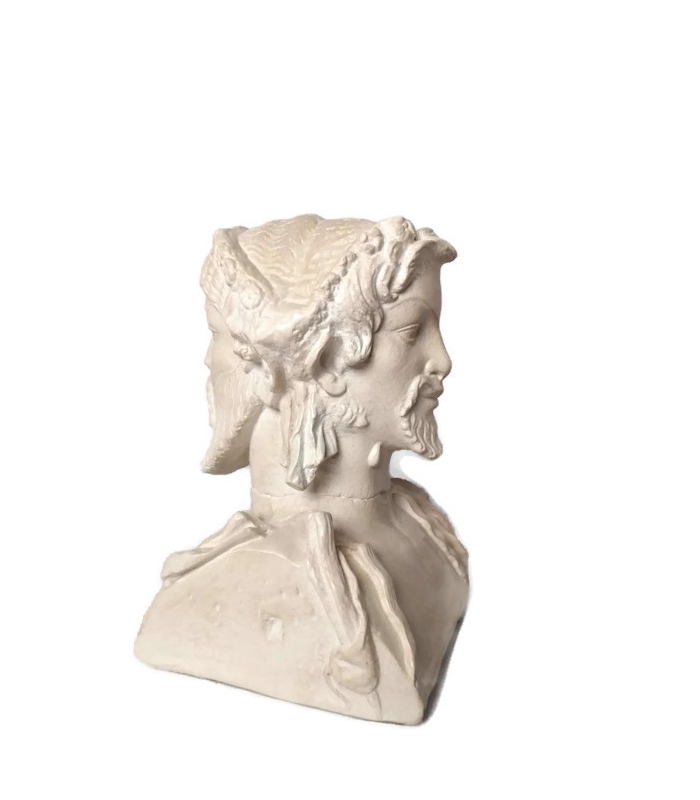 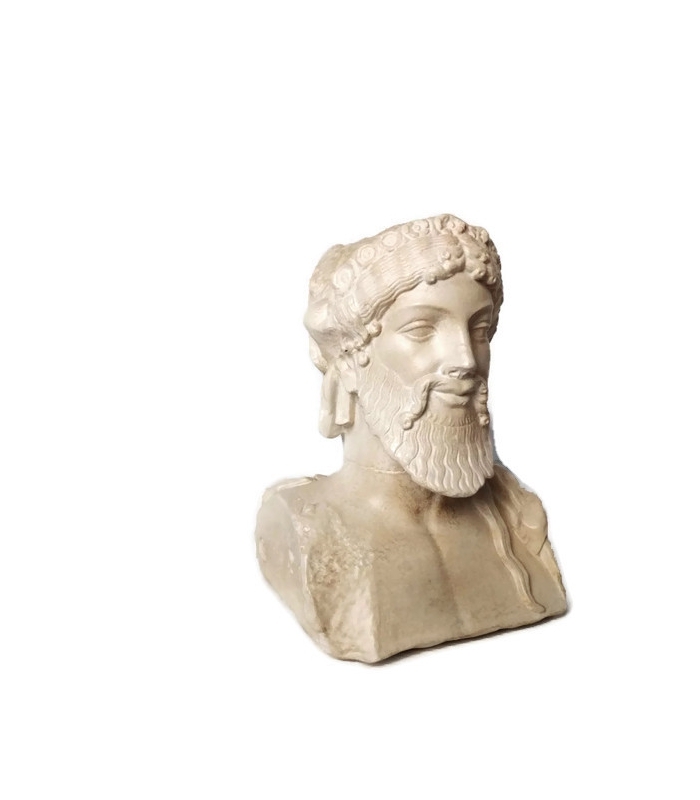 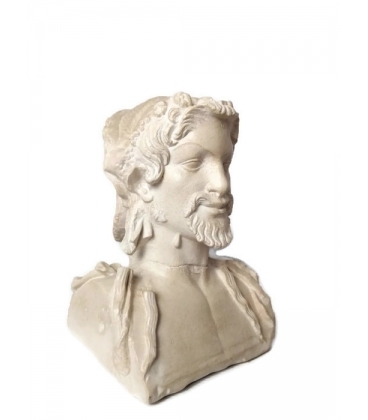 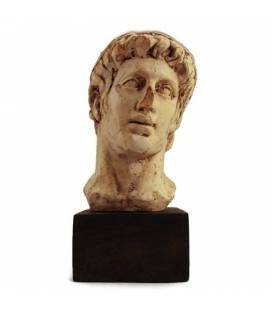 Found in 1970 in the excavations of a Roman quarter of Fréjus (Le Clos de la Tour, Insula I), near an important building with peristyle and exedra, this bust is a happy exception in the relatively abundant and generally mediocre series of Hermes doubles of Hellenistic and Roman production. 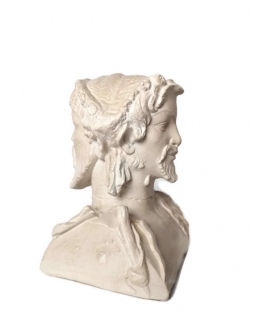 The artist skillfully associated, by opposing them, two agressive deities crowned with flowers. 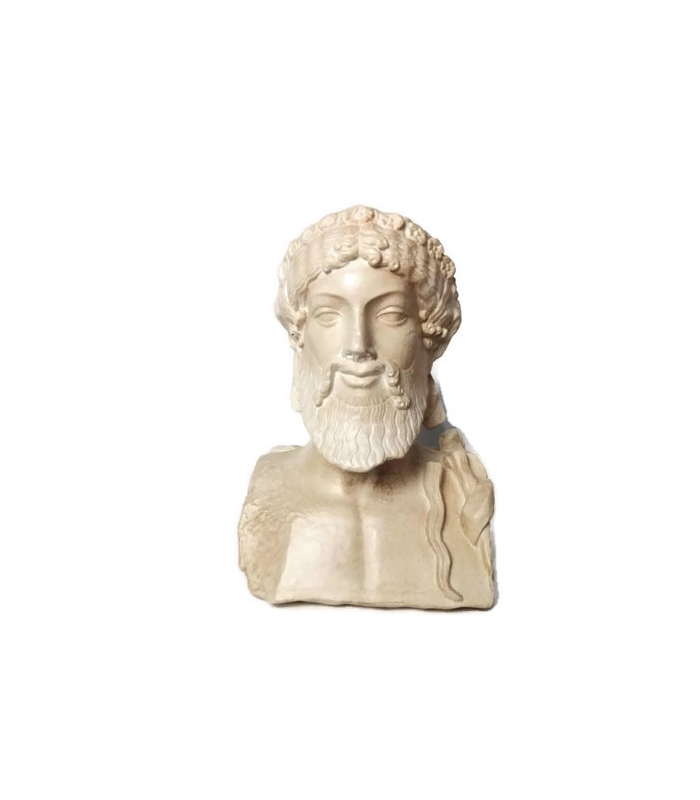 On the one hand, a young Fauna characterized by caprine attributes and whose features without exaggeration accuse the folly temperament and malicious spirit, on the other hand, a Hermes or Dionysus bearded, imbued with an Olympian majesty, whose "unfathomable" look is underlined by an end of smile of archaic kouros. 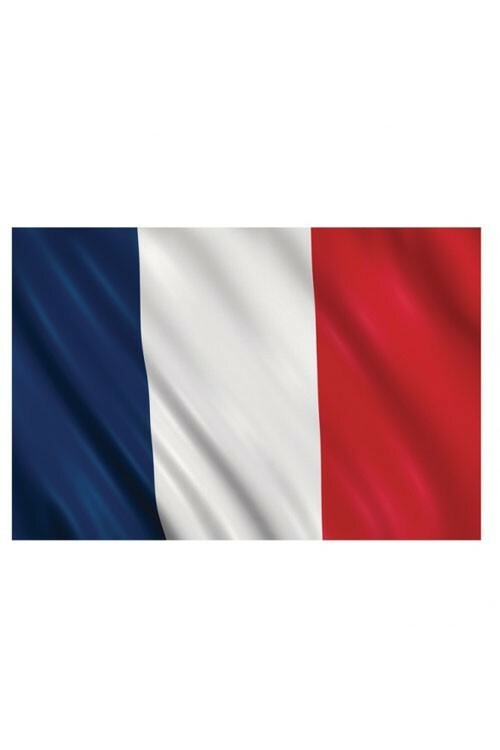 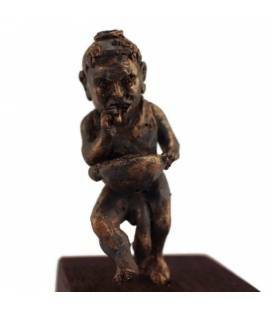 The Hermes-Pan dyad, country gods confused in the Latin country with Terminus and Faunus, poorly distinguished by Priade and Sylvain, can be recognized in this group as both severe and playful. 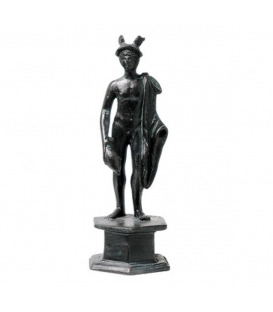 The Homeric hymn to Pan (XVII) and Herodotus (II, 145-146) make the Goatfoot a son of Hermes. 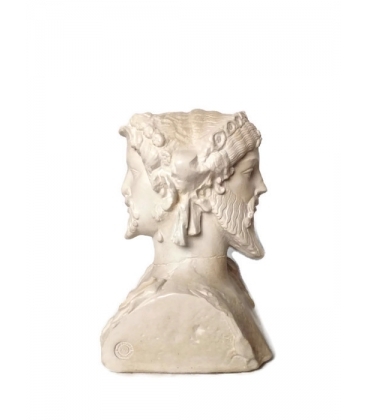 This close kinship and closely related pastoral functions have enabled the two main Arcadian gods to meet on the same pillar. 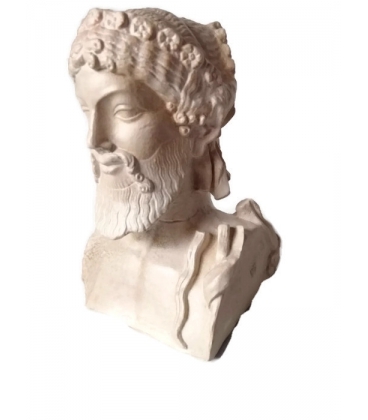 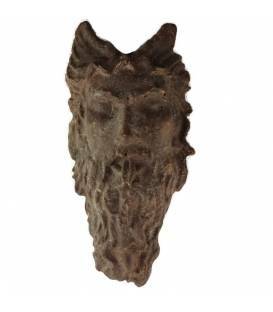 However, there has been frequent confusion since the High Antiquity between the very close types of Dionysus and Hermes, and the widespread assimilation of the theme of the Satyric Assessor of Bacchus may leave some doubt. 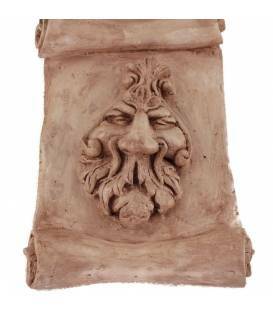 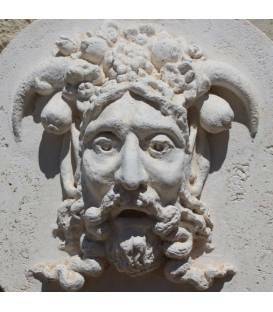 Dionysus only misses the crown of ivy that usually distinguishes him in the procession of the long bearded gods. 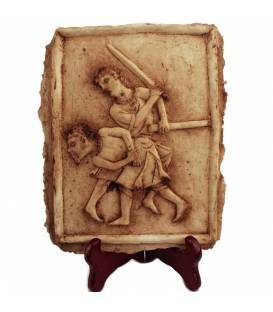 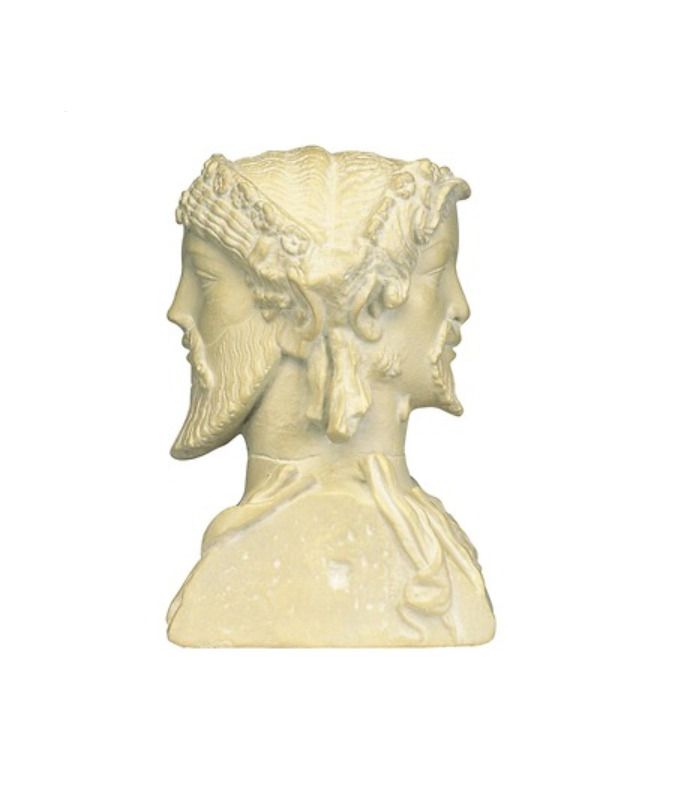 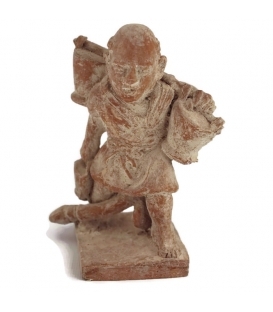 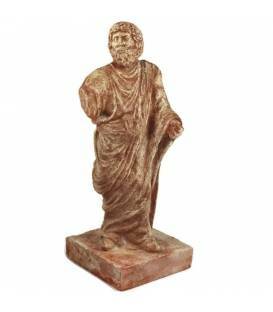 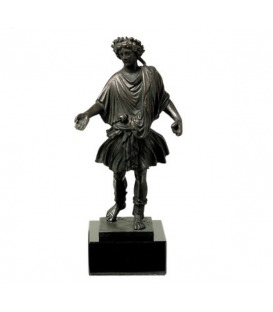 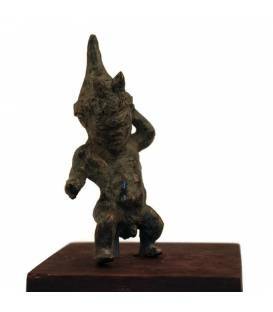 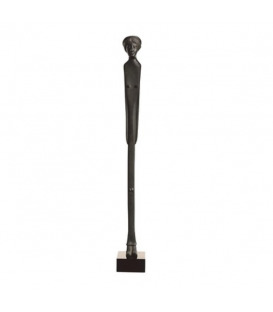 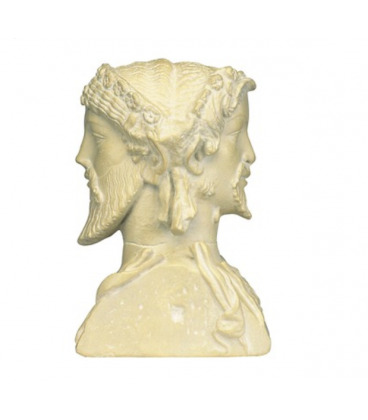 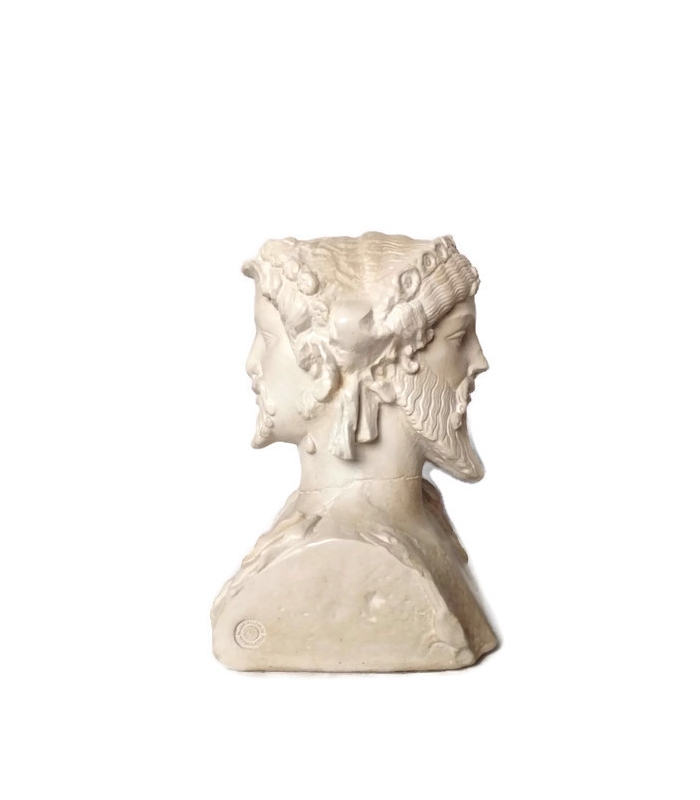 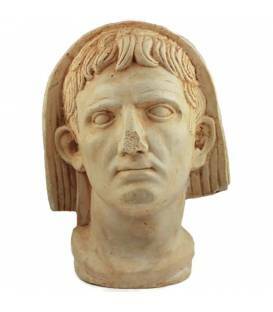 In any case, the latin taste for the "Janus", an archaic fashion, and the re-establishment of the festivities of the crossroads (competence) by Auguste, fairly well approve the choice of the association and the beautiful style of this sculpture. 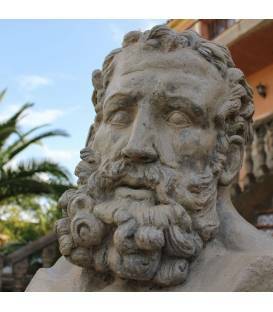 Imported to Fréjus, Forum Julii, one of the gateways to the Gauls, through colonization, this work of art was able to decorate the garden of a rich urbana villa, unless it belonged to a public building, palace or market. 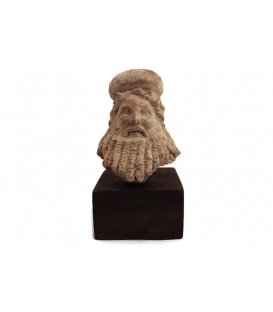 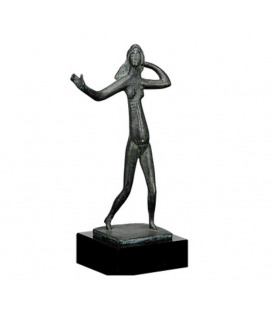 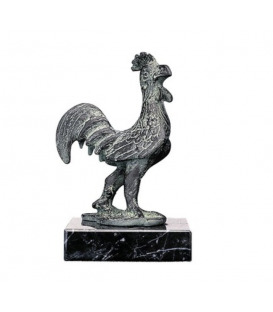 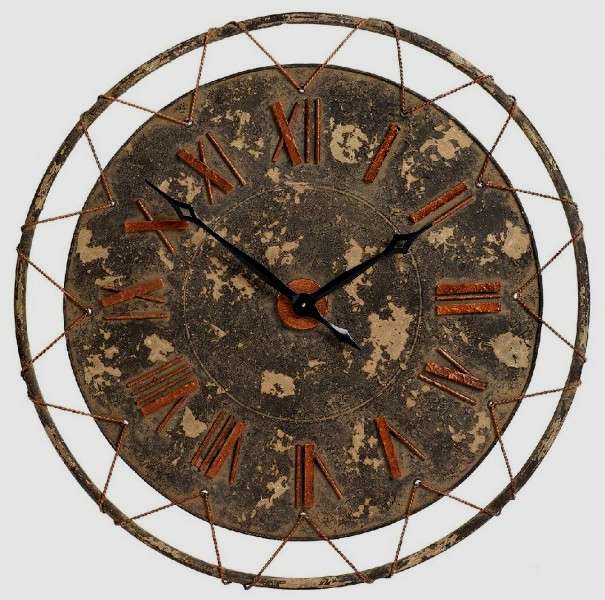 Heiress, in many respects, to the purest Hellenic tradition, it lacks only a Greek signature.